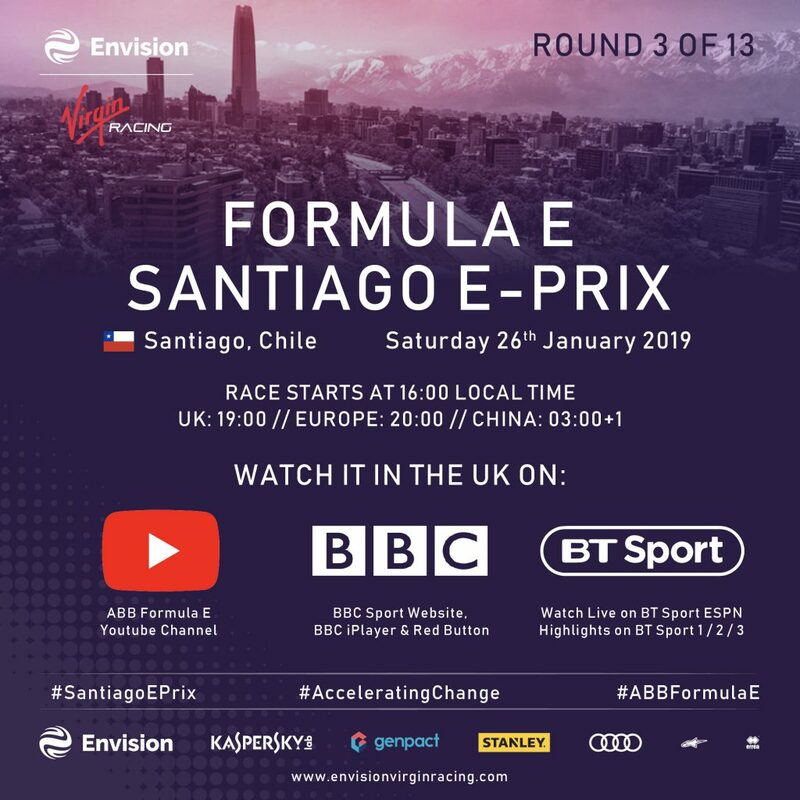 Want to know how you can catch all the action from the third Formula E round from Santiago? 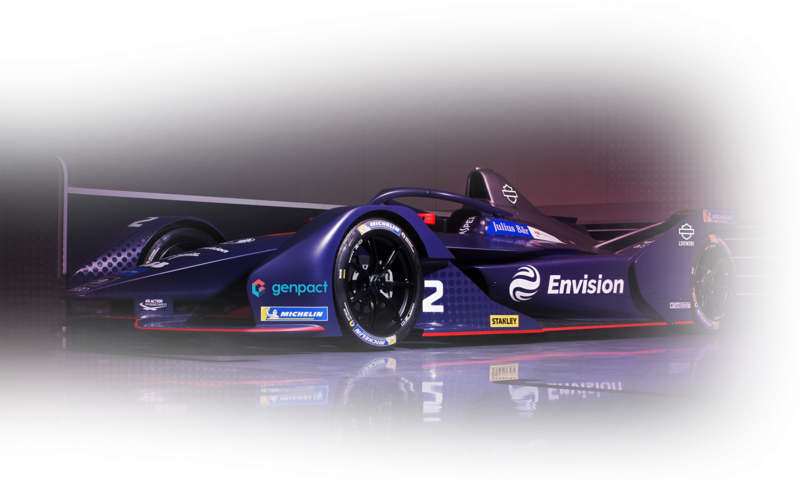 Well, fear not, as we have all the details on how you can follow Envision Virgin Racing drivers Sam Bird and Robin Frijns as they compete in round three of the all-electric race series, the Santiago E-Prix. For those in the UK, the race gets underway on Saturday 26 January at 7pm and can be viewed via the BBC Sport website, BBC iPlayer and the BBC Red Button. You’ll also find live action on Eurosport and, new for this season, Formula E’s own YouTube Channel. Live coverage will also be available on BT Sport. In Central Europe, the race gets underway at 8pm, whilst in a late one at 3am Sunday morning and over in the US (Eastern time) it’s 2pm start time. Of course, you’ll also find extensive coverage via Envision Virgin Racing’s channels from right here on our website through to our social media channels; bringing you all the latest team news, content and updates.